Eileen Benthal and her daughter, Johanna are no strangers to trials. Eighteen year old Johanna, who was born with a rare neurological disease, has had over 90 surgeries, mostly in her brain. Like millions of Americans, the Benthal’s lives were turned upside down with the disastrous rollout of the Affordable Care Act in the fall of 2013. 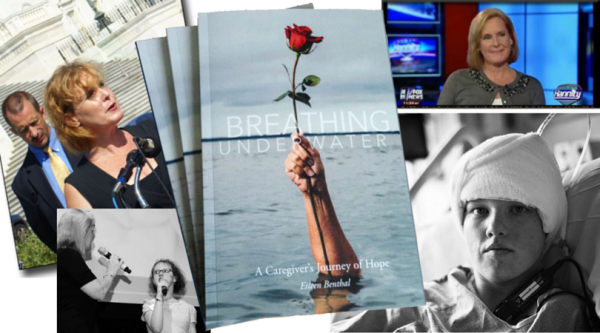 Eileen recounts the triumphs over the trauma in her newly released book, Breathing Underwater; A Caregiver’s Journey of Hope. In her book, Eileen shares their remarkable story of endurance, with anyone who feels they are drowning in their circumstances and needs a breath of hope.